The ability to demonstrate a fully functioning Quality Management System remains the single most important element of a company’s operations. 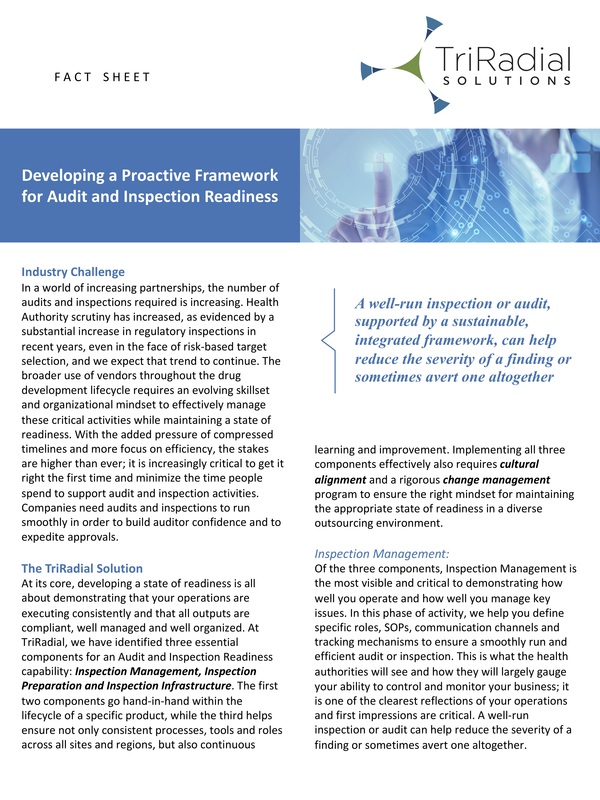 Risk planning, oversight, detection, and mitigation provide comprehensive assurance that outcomes surpass regulatory guidelines and align to GxP principles. 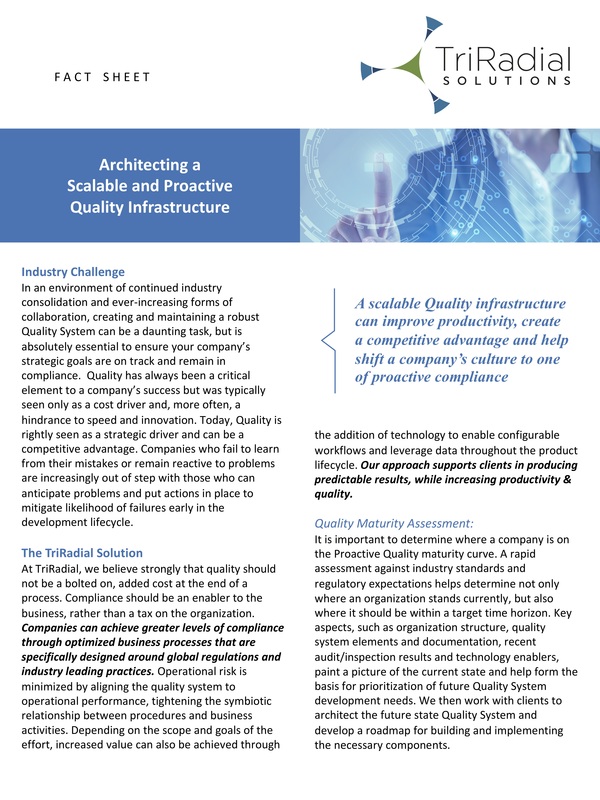 Well-defined process together with the right technology can help companies move to a proactive quality stance mitigating issues before they become problems. TriRadial understands that quality is built into process at the beginning using Quality by Design principles and employs technology and leading practices to achieve QbD goals. Let us know how we can help you to optimize your Quality Management System.